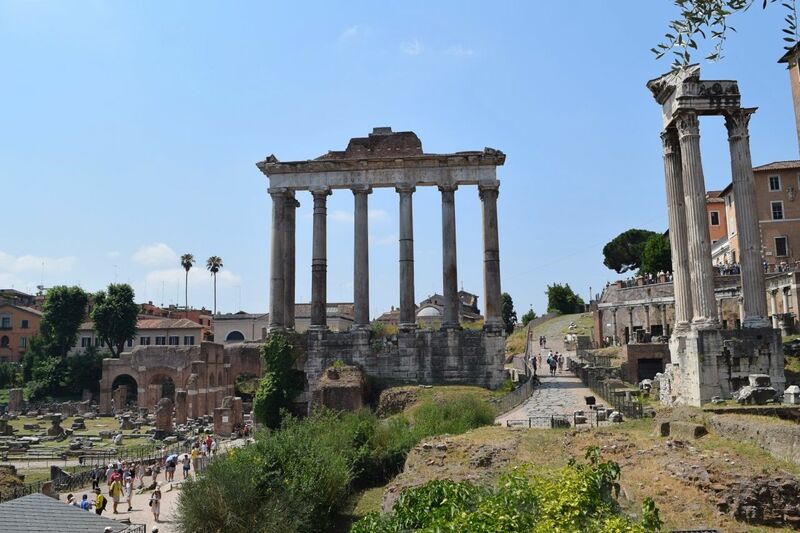 Last week Danny and I jetted off to Rome for three days, so I thought instead of posting oodles of pictures and posts, I thought I would compile some handy tips and more of a things to do in Rome post. So where to eat, stay and of course visit whilst you are visiting. 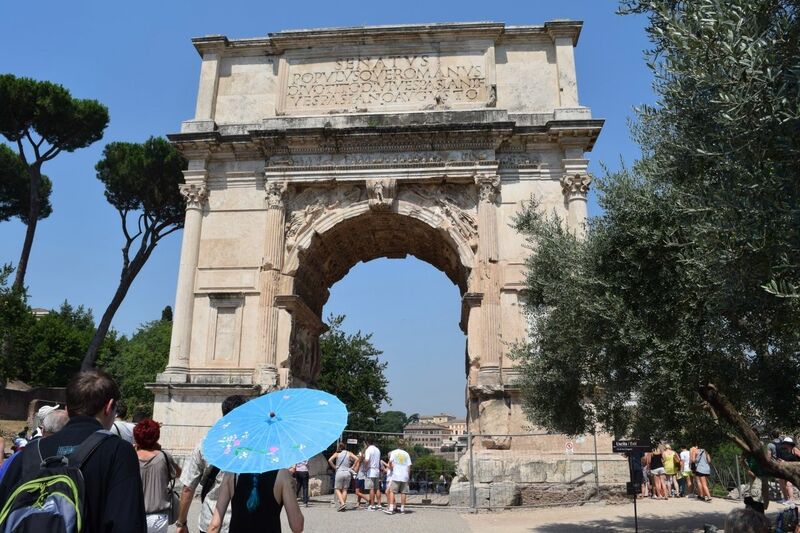 Plus a few things we learnt along the way in our 72 hours in Rome. These are of course just recommendations, as of course your trip is your own. 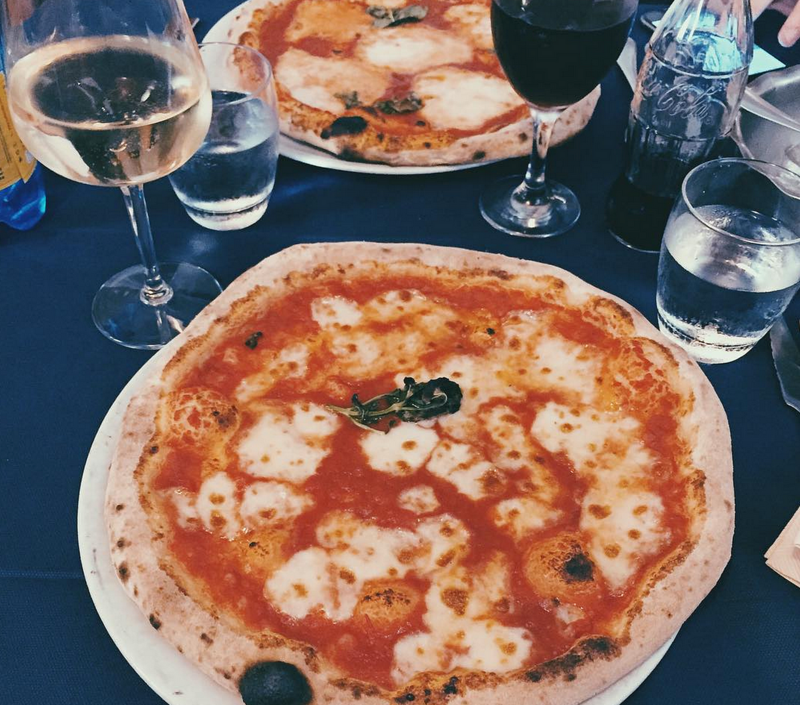 I list where to eat in Rome first, as I basically think about food 24/7 and I’m guessing everyone else does too. We planned one of our meals for Danny’s birthday but the rest were based on recommendations or stumbling upon them. I would recommend these eats in Rome. 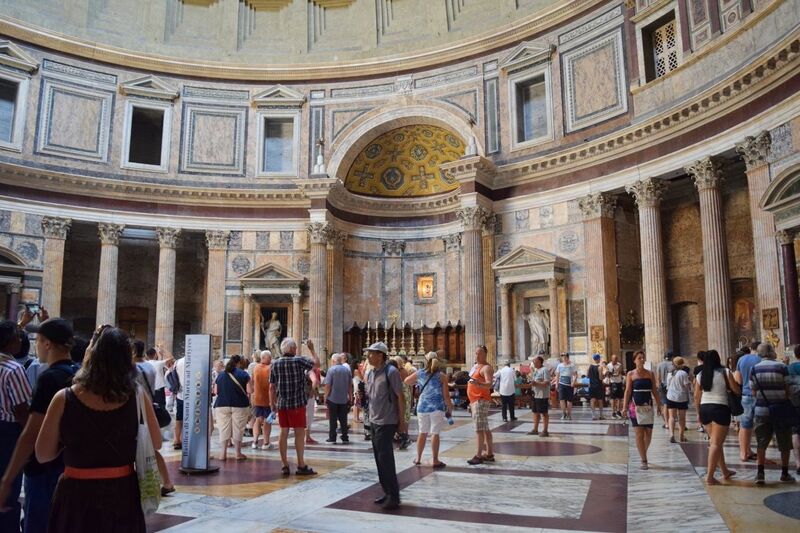 In Rome, you won’t find a Costa or a Starbucks so for quick bites to eat there are many places dotted around. We stumbled upon one of the best sandwich shops on our last day – typical! 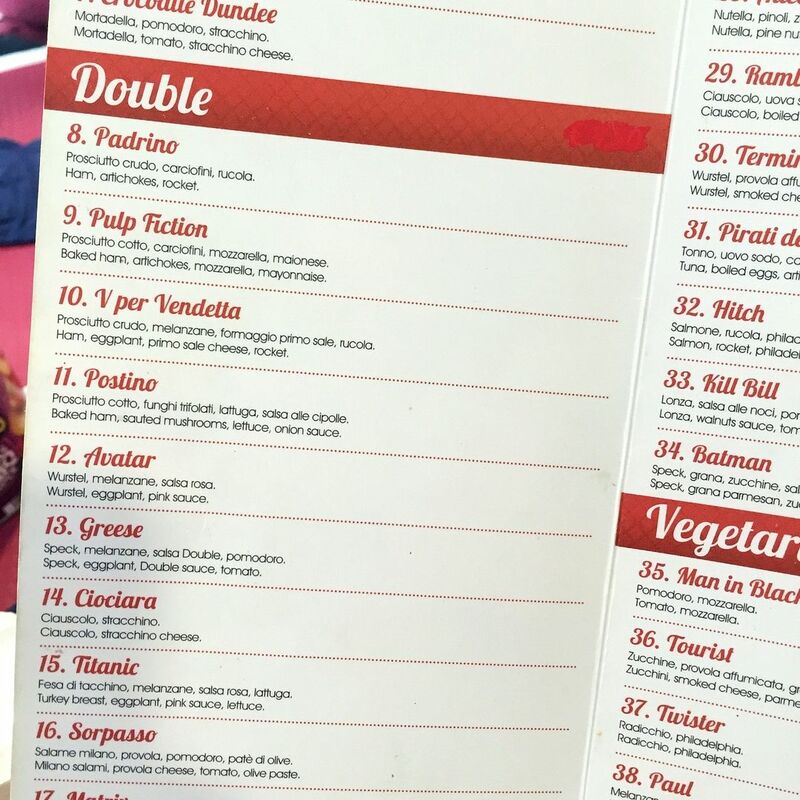 With double sandwiches, all complete with movie names this is your one stop shop for lunch in Rome centre. I had the ‘Apollo 13’ which was full of chicken, bacon, mayo and salad. These are BIG sandwiches, I think you can go smaller but we didn’t know that at first. You’ll find plenty of snacks here too like Pringles and Coca Cola etc. Upstairs they have seating so you can sit in too. 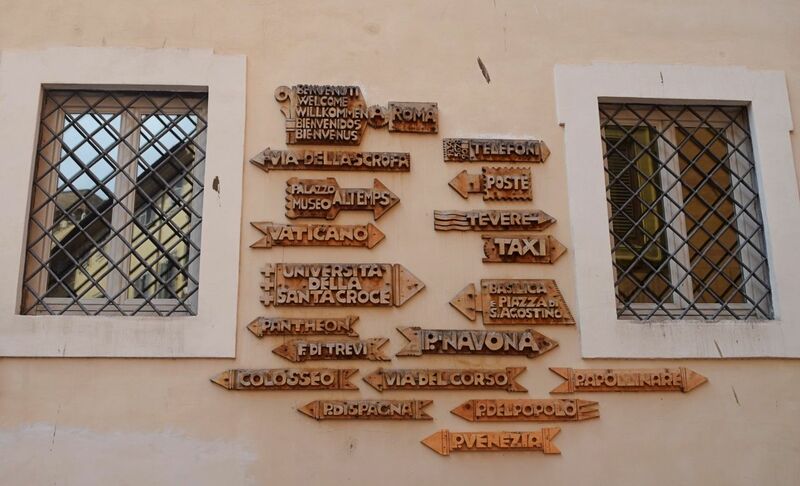 A great find when you need a break from shopping on the Via del Corso. Double Bar, Via del Corso, 495, 00186 Rome. We ventured a little further out to find the best ice-cream. 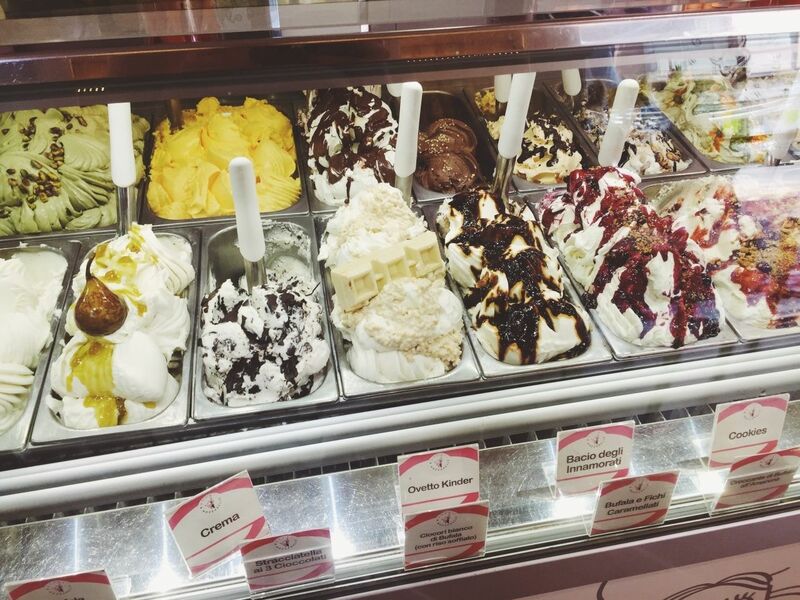 In the Trastevere area is Gelati e Mozzarella. When greeted at the entrance by an array of cones to choose from, I’m talking chocolate covered in coconut, nuts and chocolate and smarties, you kind of get a little bit excited. The ice-cream itself too is fabulous. 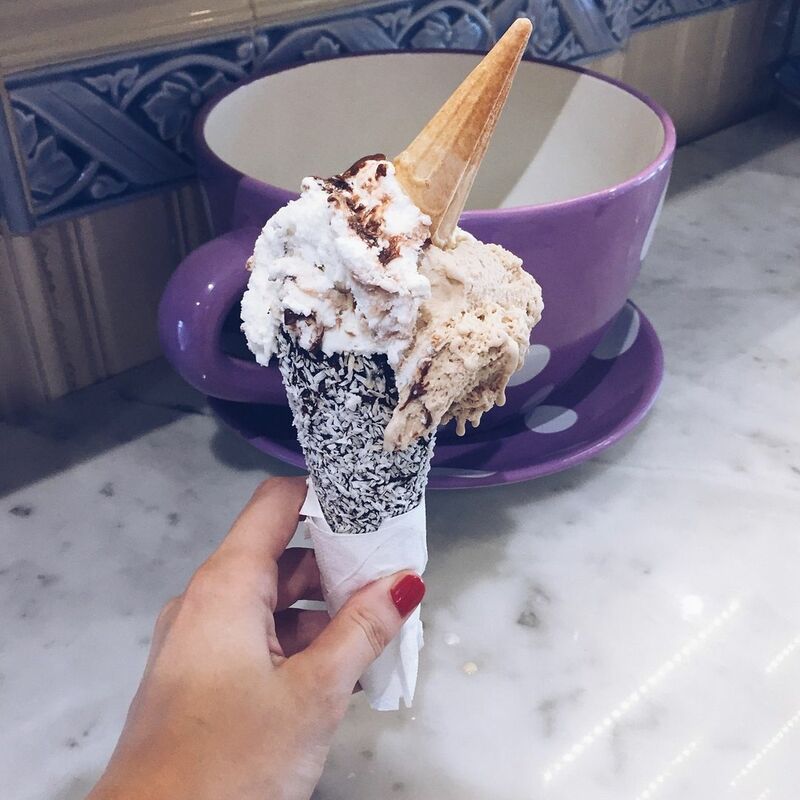 One cone comes with three scoops, yes three and the flavours are just out of this world. I opted for hazelnut and Kinder and Danny had pear and rum, Snickers and After Eight. There are a couple of seats to perch up on too. Just try to resist their cake selection, NB: you can’t! This is an authentic Italian restaurant, you can expect excellent pizza and pasta, a little bit of hap hazard running around from the staff and a wine list handwritten on a piece of paper. We went here for our first meal as soon as we arrived. The pizza and wine were perfect and it was all under about 50 euros. 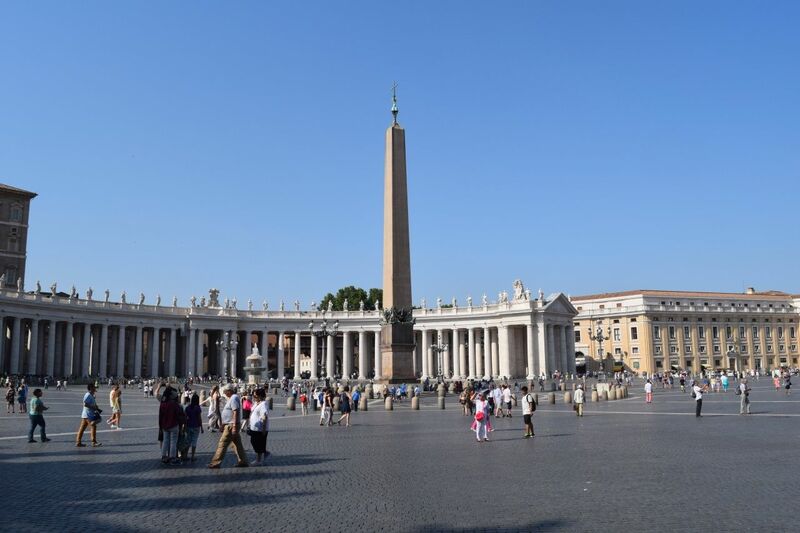 It’s near the Vatican so it’s a good one if you are visiting there for the day to stop by for lunch or an early dinner. Baccano we discovered when we were walking to the Trevi fountain. The restaurant is unlike many in Rome and not touristy like others in that area. Definitely something you could probably expect to find in London. The staff speak very good English and the menu is varied. Offering seafood, burgers, pasta and much more. There are plenty cocktails and wines to choose from, if you order the Margarita expect a very strong drink. 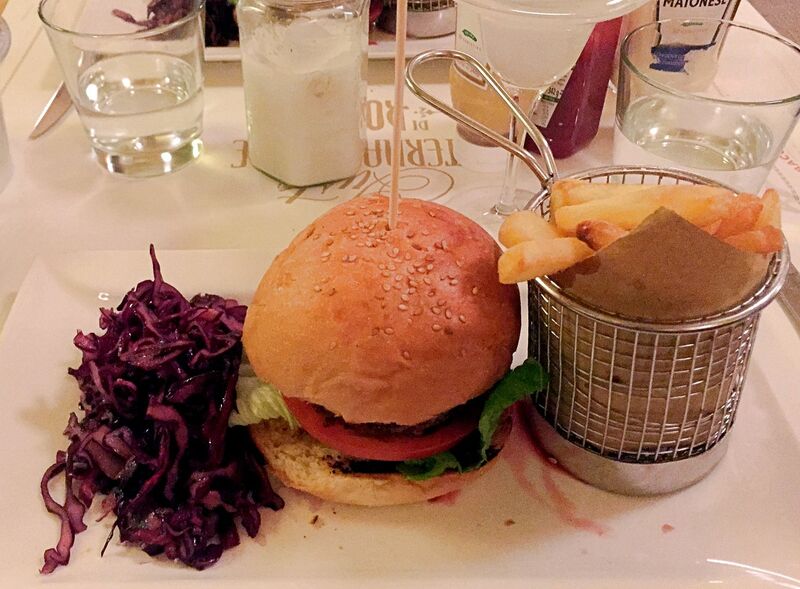 We had the burgers which were lovely and it was a really relaxed environment. I’d definitely recommend a meal here. Baccano, Via delle Muratte, 23, Roma. 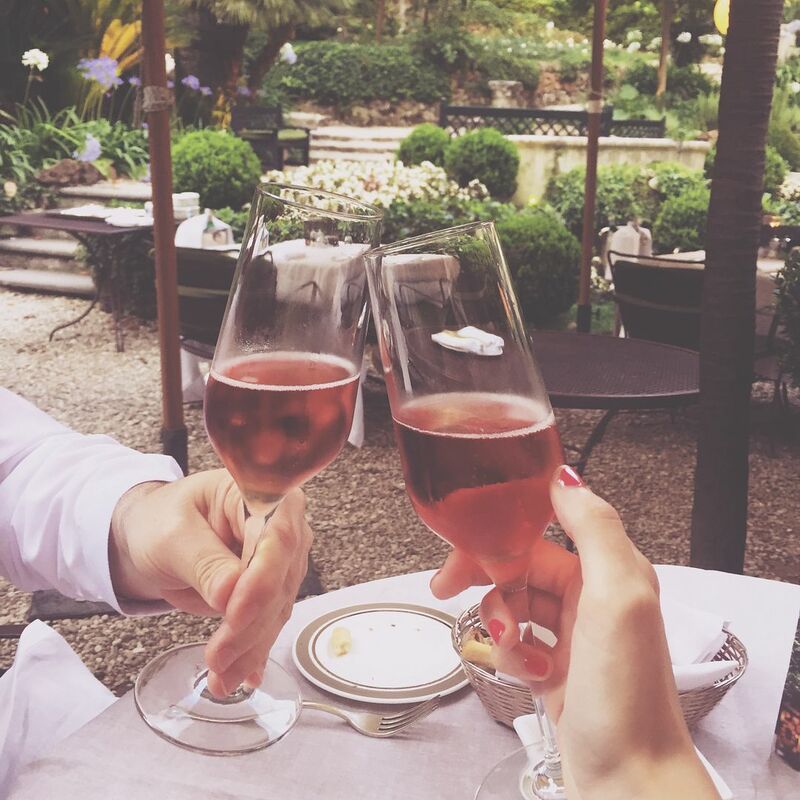 Our one meal we pre-planned was at Le Jardin de Russie which is within the Hotel de Russie Hotel. I had seen this recommended a lot and loved the idea of the gardens and thought it would be a perfect setting for Danny’s birthday. We weren’t wrong and loved our meal here. We had a table outside and the service was very good, alongside the food. They even brought out a birthday cake free of charge which meant we didn’t have to order dessert. It’s a little pricey but definitely worth it. Be sure to make a reservation. The dress code is smart casual for dinner, so if guys are in shorts they will turn you away which we saw happen to one couple. 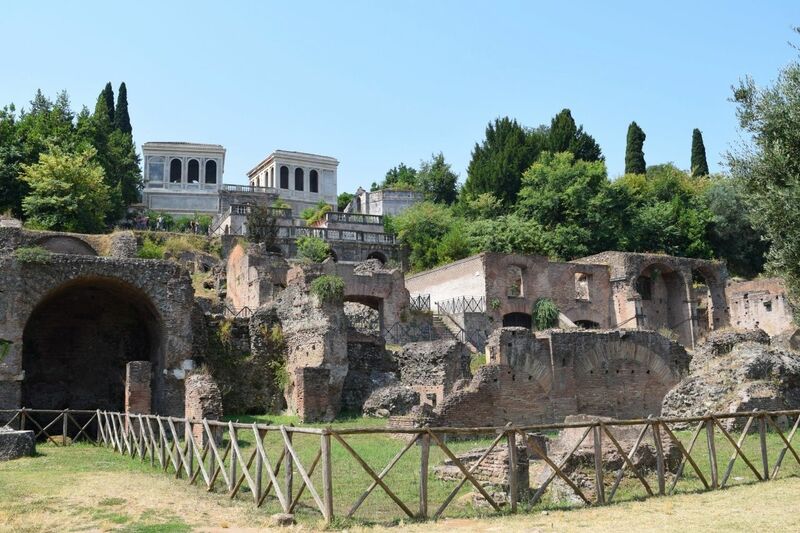 There is so much to see in Rome, but here is where I would recommend making a beeline for. This was our first port of call on our first full day and I was so excited I woke up at 6.30am! But it was a blessing as getting ready early to go down there for close to opening was a perfect time. 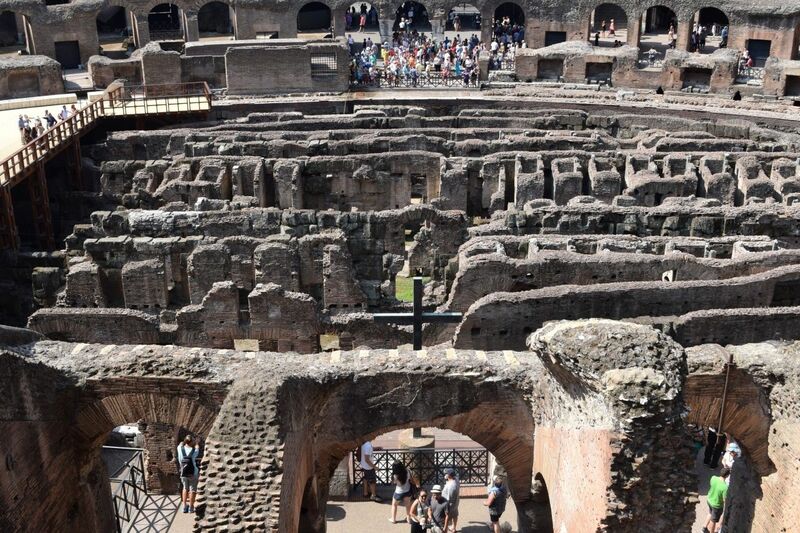 We took the Metro, to which the station is right outside the Colosseum. It opens at 8.30am and the queue at this time to get in is pretty short. There is one queue for ticket holders and one for not, so make sure you join the correct one. It goes down pretty quickly if you have a ticket and once inside it wasn’t too busy either which was really nice. There is also toilets inside bizarrely, which is very handy to know. You are free to roam around for as long as you want. If you want to see the downstairs underground you have to book a tour, they looked really cool so this might be worth doing. We stayed about an hour and then moved onto The Forum. 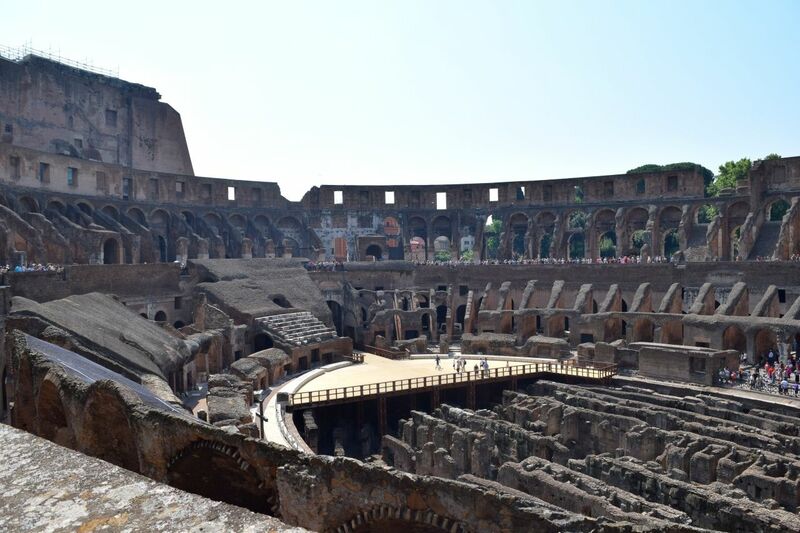 Make sure to visit The Forum, which is included with the Colosseum ticket. I wish we’d spent longer here but it was so hot that it was quite hard to walk around for too long. There is lots to see so make sure to bring your camera wear some sensible shoes, it’s very dusty and stony too, so a pair of trainers would be ideal. 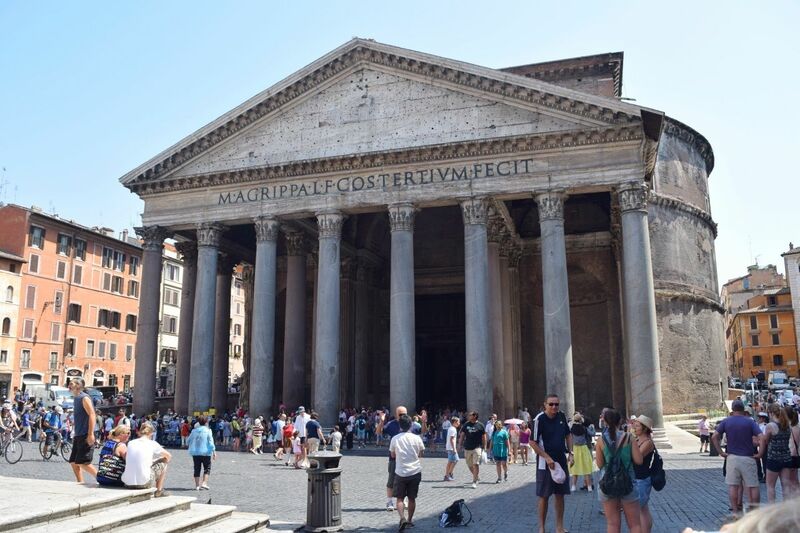 I would definitely recommend visiting the Pantheon. It’s free to go in and inside is just as amazing as the outside. 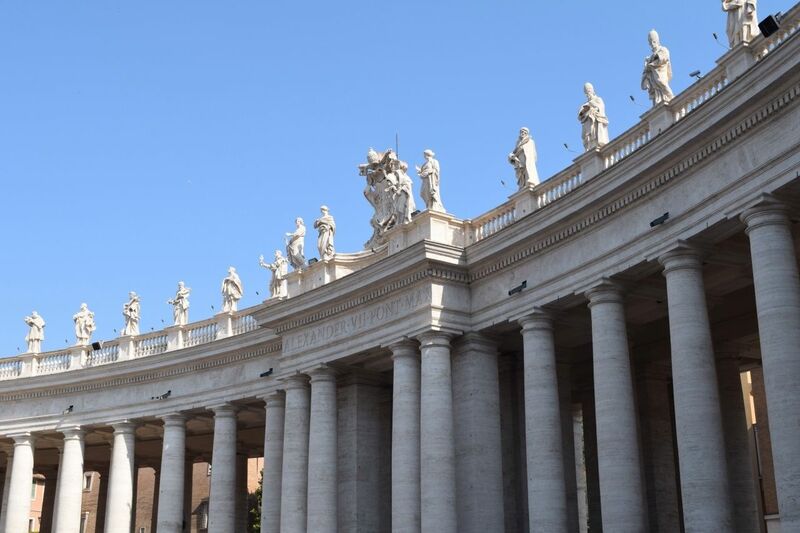 Outside those are not bullet holes but actually when the Vatican started to sell the marble for money. 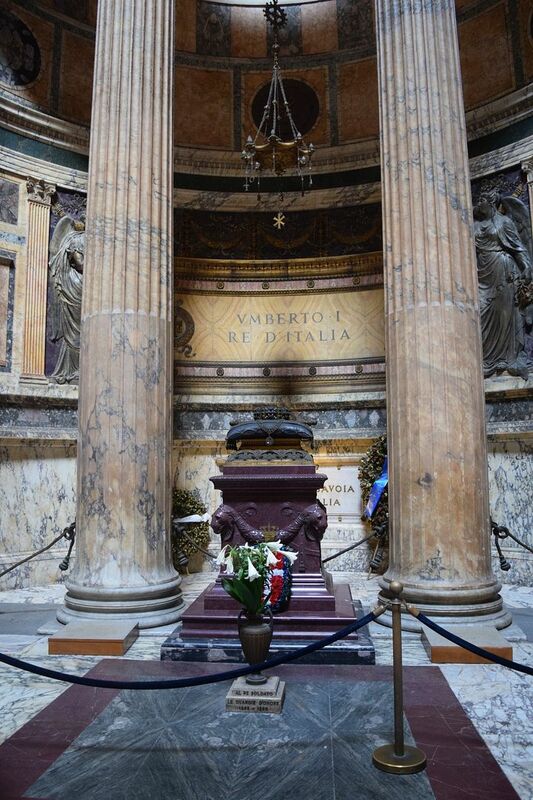 Inside the church you have some stunning architecture and the tomb of the first King of Italy. 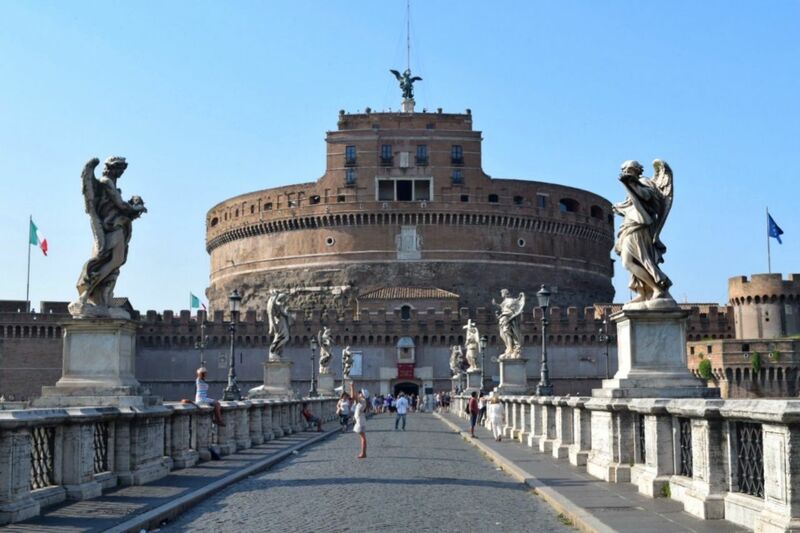 I never knew Rome had a castle until we stumbled upon on it on our first evening walking down from the Vatican. 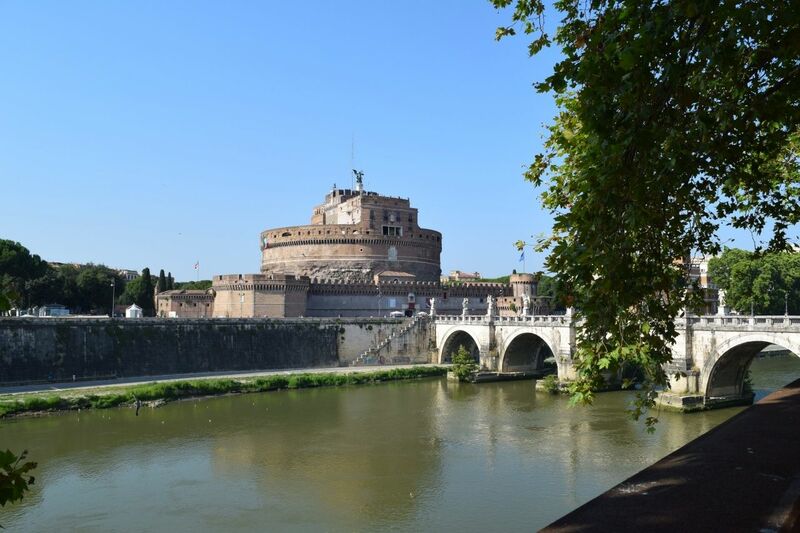 The castle is situated along the river and is definitely one to go see. You can go inside and I noticed they were doing late entries into the evening so could be a fun activity for later in the evening. This one is worth seeing if just for the structure. 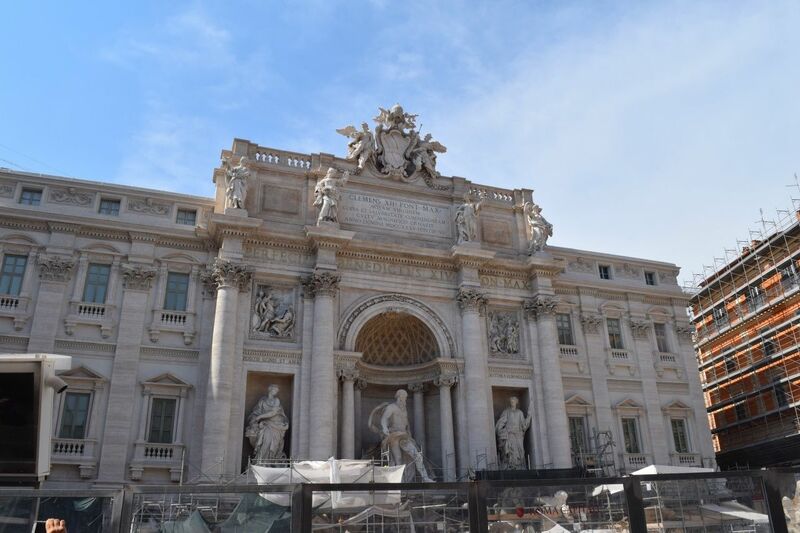 It is currently being renovated by Fendi so it’s not currently turned on and looks like a bit of a building site, but the main part of it is amazing and worth a look. 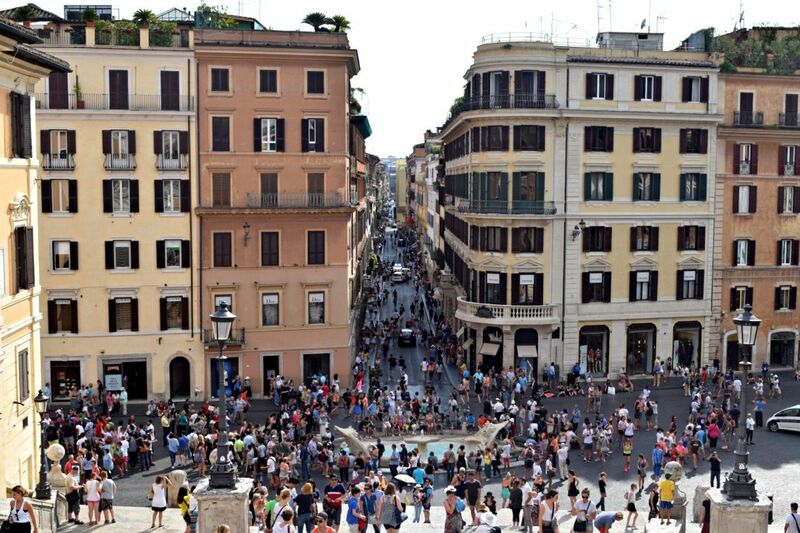 The Spanish Steps divide the steep slope between the Piazza di Spagna and Piazza Trinità dei Monti. These are of course just worth the photo opportunity, although expect a giant advert to ruin your photo at the top. Thanks Bvlgari! At the base is Piazza di Spagna where there are all the luxury shops and from the top it’s a short walk to the Trevi Fountain. 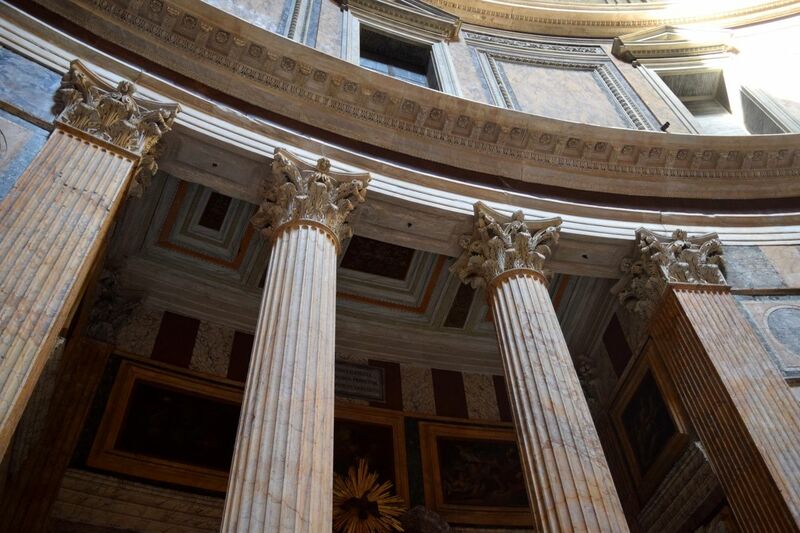 We never made it to the Sistine Chapel, but the museum and chapel are supposed to be amazing. Remember to book ahead and also that you have your knees and shoulders covered. It was just too hot for me, so I avoided this one for now and will have to see it next time. 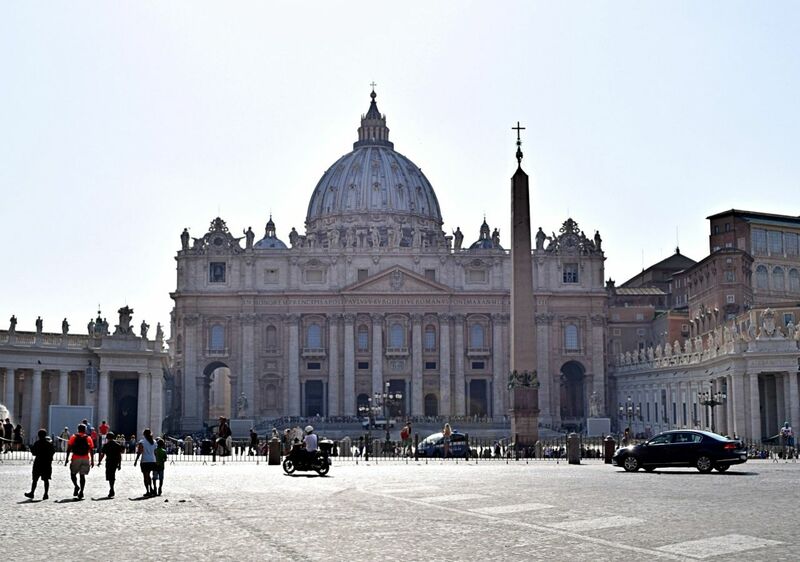 The Vatican area is wonderful. All around you in a circle you will stare up and be amazed. St Peter’s takes pride of place in the centre. You can go in and look round but we just decided to take it all in from outside. All down the Vatican is sort of more souvenir shops, priest calendar anyone? And a few cafes and ice cream shops. At night there are a lot of homeless people taking up residence on the street, so something to watch out for. 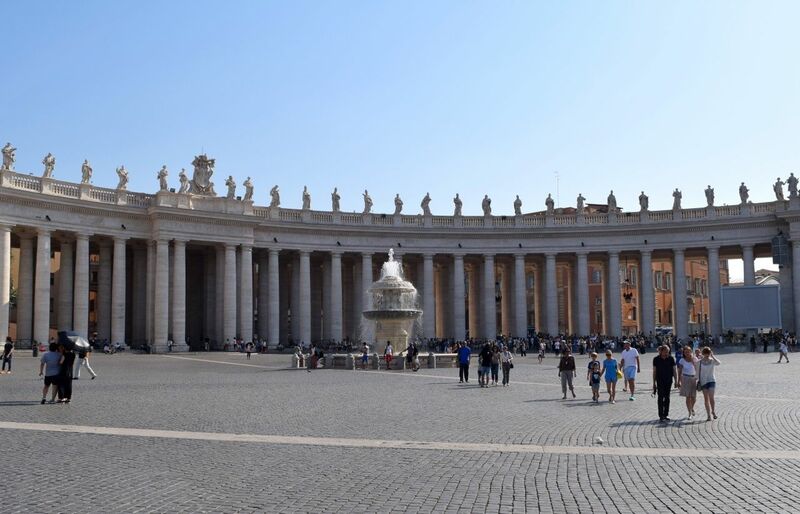 We stayed at Starhotels Michelangelo which is a four star hotel right next to the Vatican. 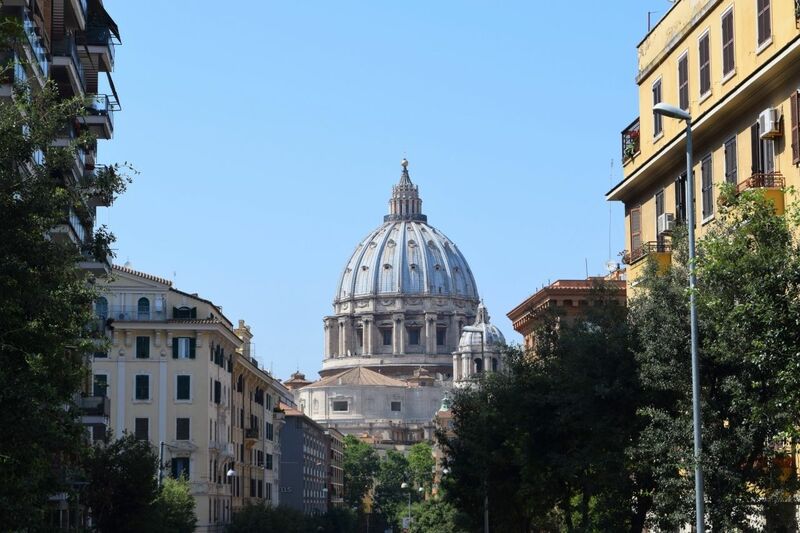 We found this a really good location, it seemed a little quieter being up near the Vatican and our hotel room had a balcony view of St. Peter’s Basilica. The hotel itself was just as shown in the pictures, the staff were very friendly and helpful and it was a great base point. There is a train station a 5 min walk and a metro about 20 minutes. We took the buses more which were round the corner and got to the centre area in about 20 minutes. 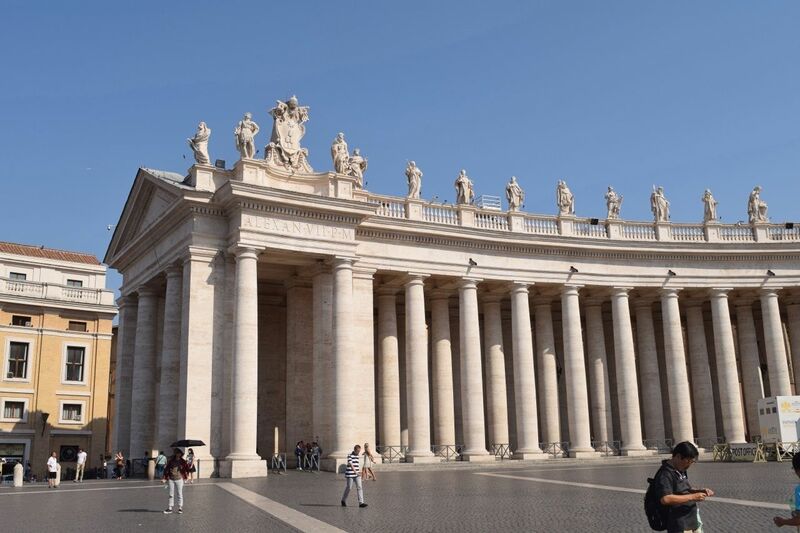 I’d recommend staying at the Vatican area or even near the Pantheon area as this is where we kept finding ourselves going back to. 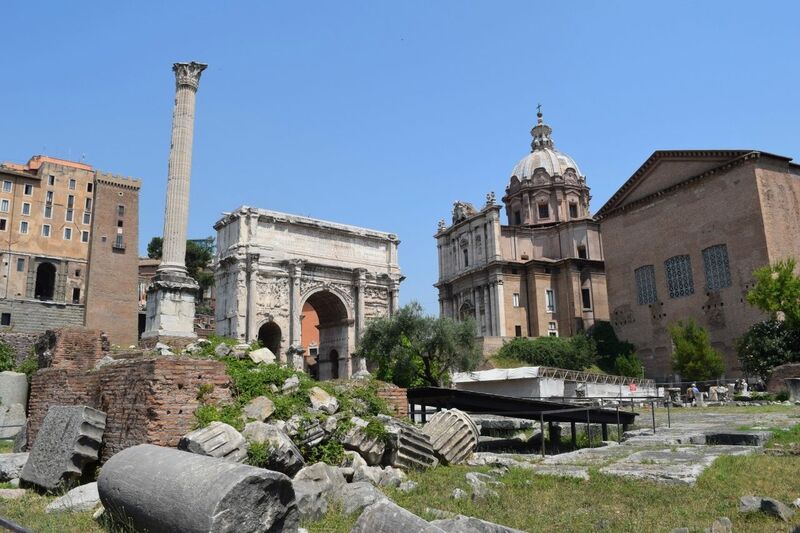 Getting about Rome is really easy. As I mentioned we used the bus a lot, but also the train and metro for where we were going. It’s very easy to work out the system, I recommend using Google Maps or Cityplanner if you have data on or Wifi access as this will save you so much time. We got a travel card for 72 hours which was €18 and this gives you access to all three, the metro, train and buses. The train however if you fancy heading out to Trastevere for instance like we did and didn’t have the travel card is only €1 each, otherwise the travel card covers trains too. 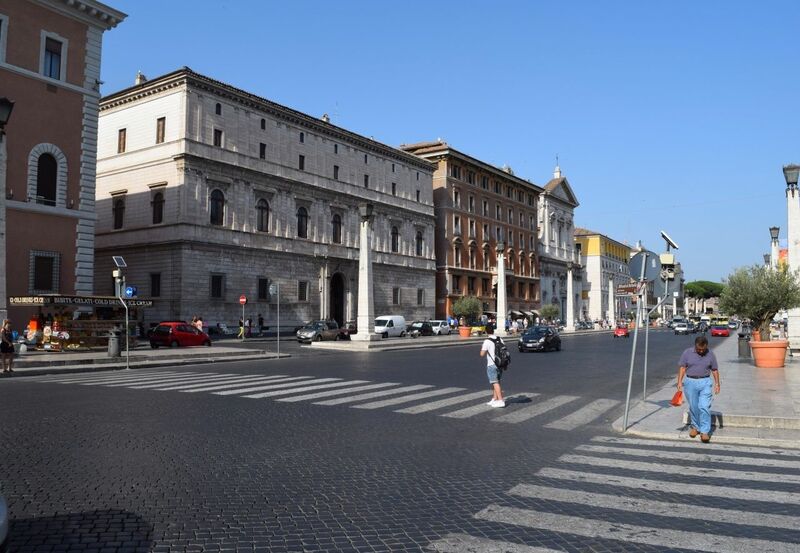 The main area for shopping in Rome is the Via del Corso. This is where you will find shops such as H&M, Sephora, Lush, Zara etc. 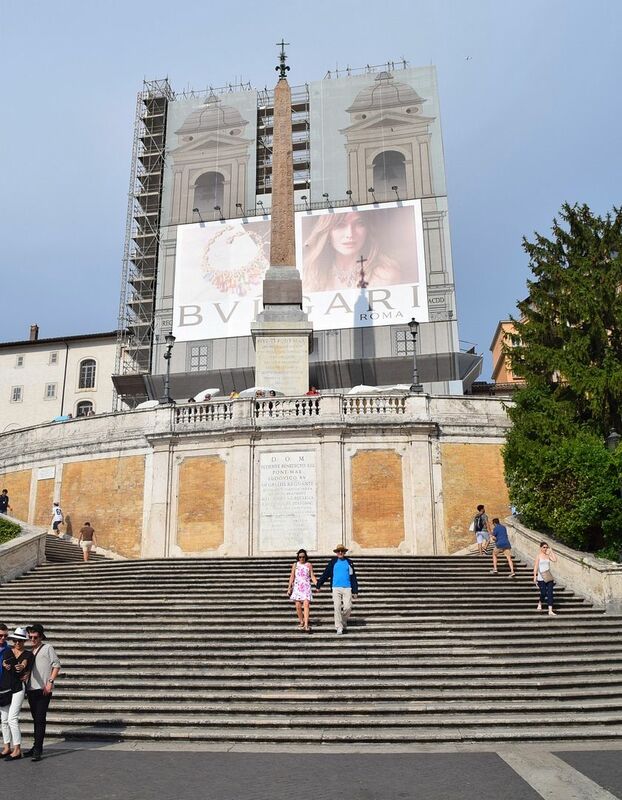 For luxury shops, I’m talking Gucci, Prada and the likes, head to the Piazza de Spagna, this is also where you find the Spanish Steps. So why not sneak in some shopping as you visit them. 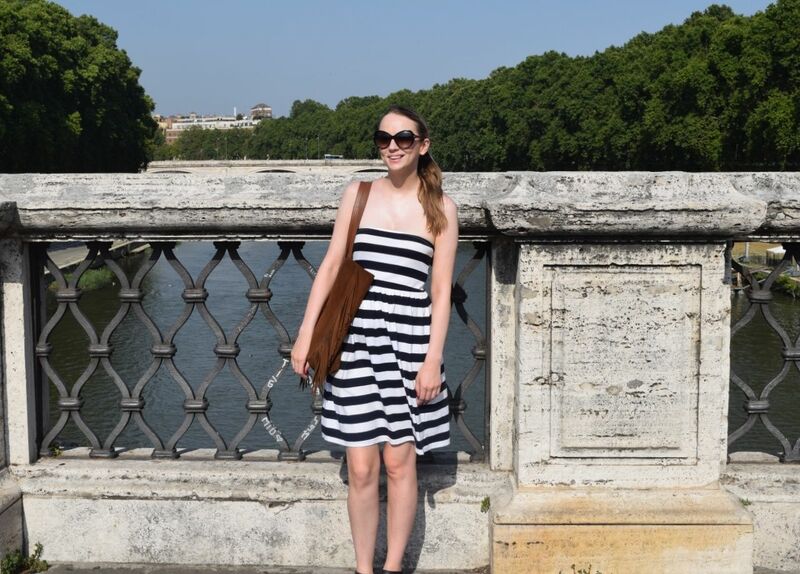 We also went to Trastevere, which is a quieter area of Rome and where the locals apparently spend a lot of time going out for dinner and drinks and hitting the shops. There was quite a few shops here, but more spread out than at Via del Corso, so I would recommend the latter if you don’t want to walk about too much in the heat. Watch out for the ‘taxi, taxi, taxi?’ people at the airport. These taxis are a con and unlike us, we did not know this. Which involved getting in a taxi, then waiting for other people to then pile in it too, they basically make money by charging everyone the same and piling more than one group or couple into one. Luckily we got out after thinking it was all rather weird and got a licensed white taxi instead. Make sure you get one of these, there is a taxi rank and they have a flat fare that is €48 to the city centre. Unless you really want a cheap selfie stick avoid these sellers. 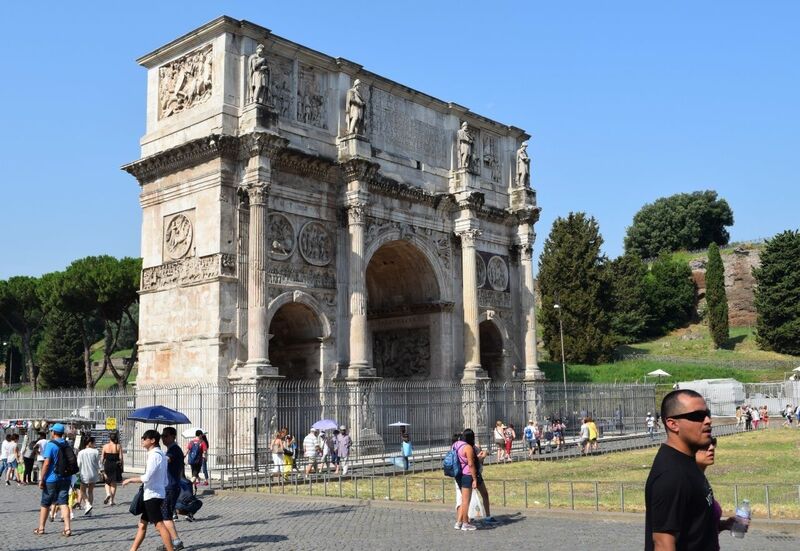 They are known to be pickpockets and operate all around Rome, especially at the tourist attractions. 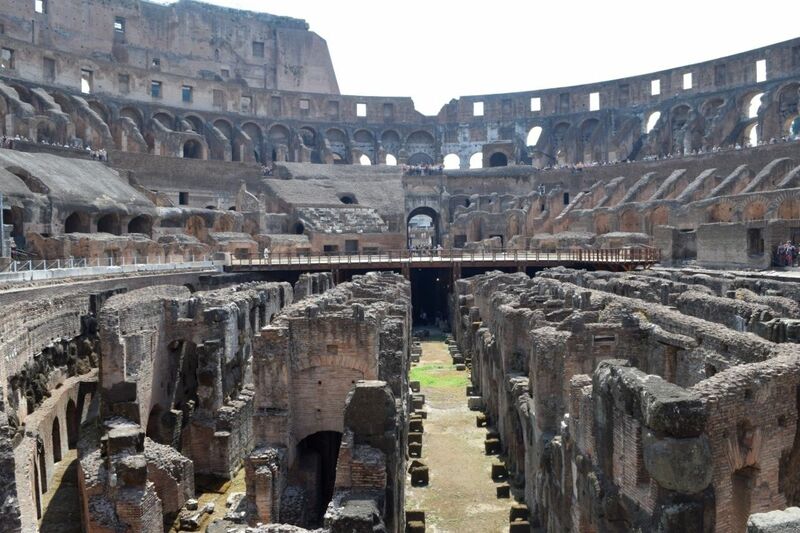 Be sure to book your tickets in advance for things like the Colosseum. This will mean you don’t have to queue for very long, which is a must in the hot heat. 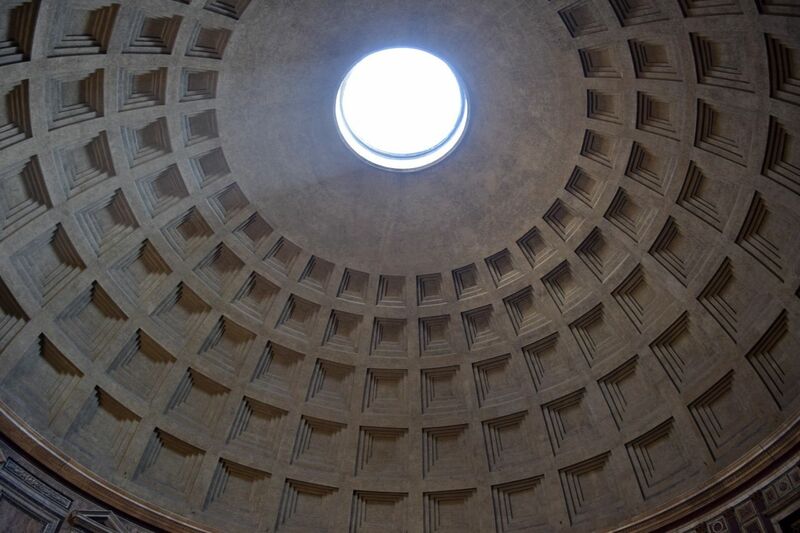 If you haven’t got tickets for the Colosseum online, then head to the queue for tickets at The Forum. 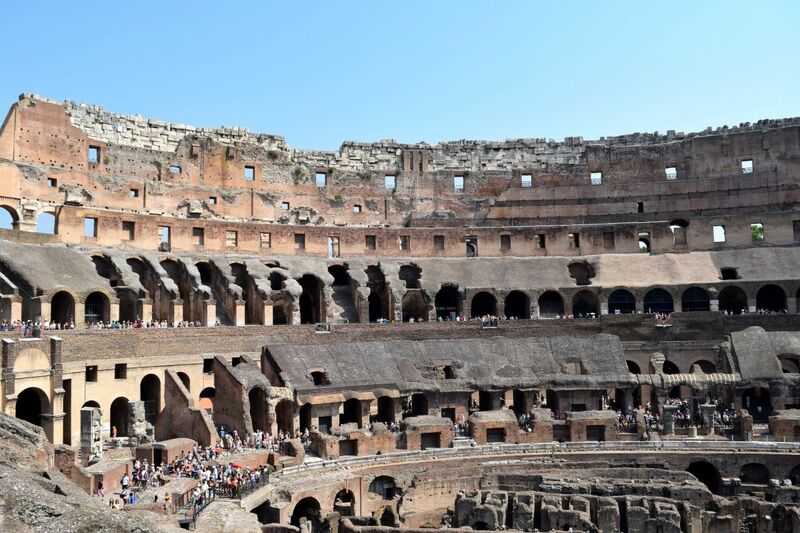 The ticket is entry for both The Forum & Colosseum and the queue for tickets is much, much shorter than at the Colosseum. 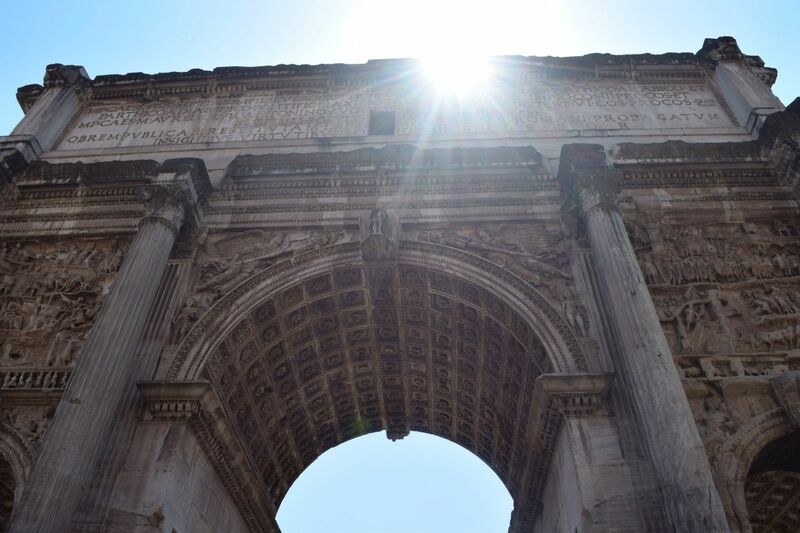 For more of Rome, check out my travel vlog. I totally forgot to film the last day, can you tell I’m new to this kind of vlogging? But you still get all the good bits! Hope you enjoy and subscribe to my channel here. Le Jardin de Russie is such a pretty spot! It was boiling hot when we went too which made it very difficult to walk around but it’s such an incredible place.